Today over half a million GCSE students will receive their GCSE results, revealing the results of months of hard work, revision and exams. Here is our roundup of the latest news as it happens. GCSEs explained – GCSEs are the first major exams sat by secondary school students, typically at age 16. 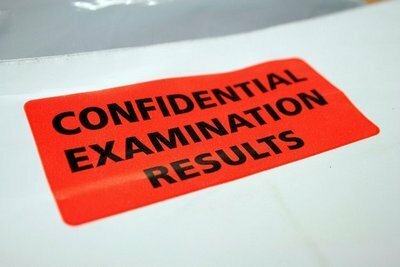 GCSEs determine entry to A levels https://www.oxfordcollege.ac/courses/a-level-courses for many students and English and Maths GCSEs are often required for application to university courses. GCSEs are graded using an alphabetical scale, from A* to U. Grades from A* to C are considered passing grades. The Guardian reports that the overall percentage of students achieving an A* to C grade in their GCSE results has increased for the first time in 3 years. In 2014 the number of students earning grades above a D increased by 0.7% to 68.8%. Meanwhile the Telegraph reports that the proportion of students receiving an A grade has remained stable, with 21.3% of all entries earning an A grade, whilst A* grades have fallen by 0.1% to 6.7%. Both English and Mathematics have had record changes in grades this summer. English grades have fallen by almost 2%, which would be the biggest drop in results since GCSEs were introduced. The drop is attributed to changes in the marking system, which have cut coursework and listening portions of the exam. At the same time Mathematics students have enjoyed a large rise in A-C grades. The reason for the change is said to be part of a larger trend, with fewer students sitting exams a year early. Girls continue to lead boys in pass rates, as 73.1% of their entries concluded with an A* – C grade, compared with just 64.3% of boys earning the same grades. This gap of 8.8% gap is significant, but results indicate that the proportion of boys achieving the top grade of A* has increased by indicating that boys are catching up in some areas. So what’s next for GCSE students? After receiving their GCSE results, for many students the next step will be to choose between employment and continuing onto A levels. For students considering a university education, the next step is likely A levels, though alternatives such as apprenticeships and vocational courses such as BTEC HNDs are also an option.